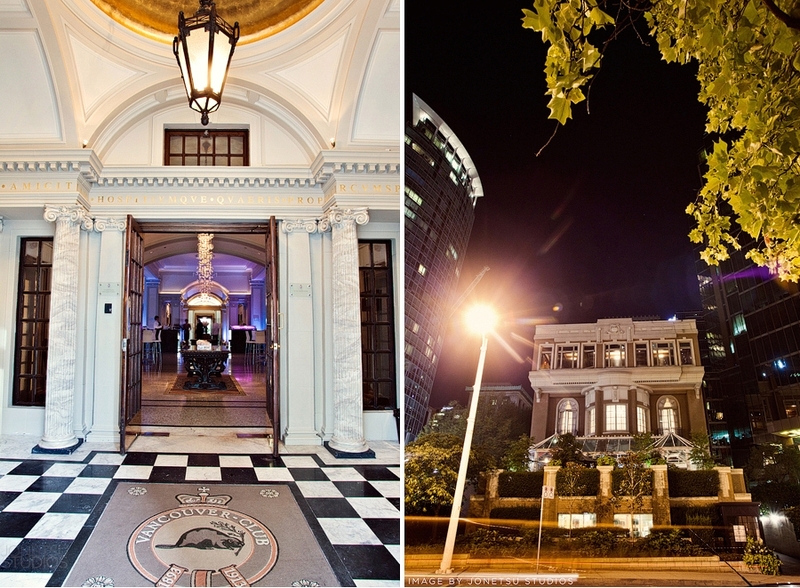 “Enter the lobby – home to some of The Club’s most celebrated ceremonies – and you’ll be enchanted by a fragrant living gallery, created by the city’s principal florists. In the romantic Georgian Room, prepare to be pampered with the latest in bridal fashion, make-up and accessories. 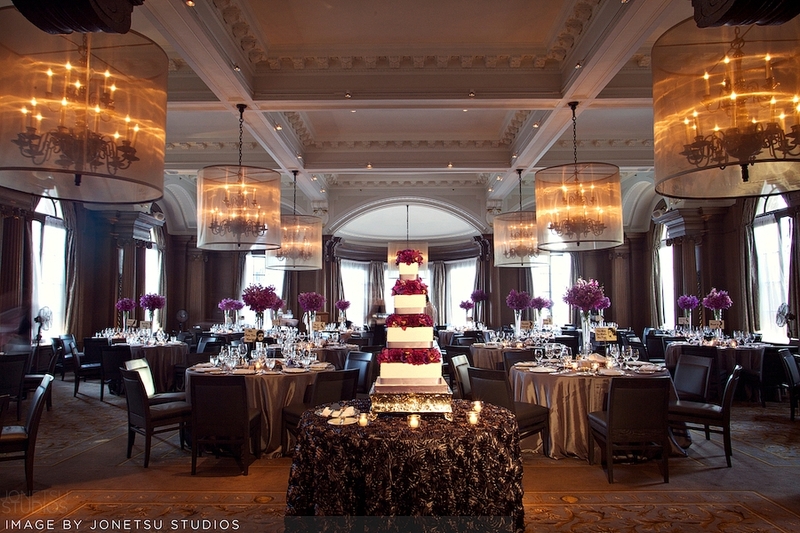 Dream of luxurious receptions in our exquisite Ballroom. Meet with the experts, share your vision, and hand-select everything you need to make your day unforgettable. Indulge in The Club’s modern twist on traditional, locally-sourced cuisine. I love genuine relationships that come out of simply a great working vibe and mutual respect. The entire team at Vancouver Club- and Jenny in particular- they’re always on the ball. Our couples are thrilled with their experiences at the Club. We’ve shot so many different types of events in their many rooms and public spaces and every time it’s GOOD. Professional service, crazy good food and bar service. It’s not this way at every venue. As photographers, we love shooting at the Vancouver Club because there are so many incredible angles and diverse looks in one building. As you know, it’s hard to find real charm in much of Vancouver’s architecture- and the Vancouver Club building has it in spades. At 12pm, just before the Fashion Show, we’ll be on stage giving a little interactive chat about how to make the most of your wedding photography commission, through great choices in decor, lighting, floral and makeup. We’ll talk timelines, personal style and have an open Q&A about wedding photography in Vancouver. Ask us anything. Every detail on the planning was taken care of, we just instantly see it trough the pictures. So, somewhere between our travels in Indonesia and China and a server switch and a blog hack, our Facebook post “likes” on this blog were all returned to zero likes. Boooo. We really do appreciate that hundreds of you who took time to share our posts on your personal pages. I haven’t checked if those links are live anymore or not, but I just wanted to say thanks and that we’ll remember your kindness and sharing, even though the “ticker” didn’t. I guess, like diamonds and cockroaches, “Comments” are truly forever. Continuing our tradition of seasonal mini self-portrait sessions whilst walking the hounds, here we are going for a stroll one cold, foggy morning by the Fraser River in Mission. We never regret bringing a camera, though we don’t do it enough on personal adventures. I’ve been threatening to get an iPhone for years, and the time may be coming very soon- it has me wondering if having such an easy, convenient photo device will increse personal photo-taking endeavors or hinder them by our refusal to pack the “real gear”. What happened to your photo-taking life when you got an iPhone? your work blows me away. the end. Beautiful Camille!! LOVE these pieces. Congratulations on this endeavor. Can’t wait to see more! Wow, I love that chair! Such a great idea to use google maps in such a way. Yes, please give us more, clearer and closer photos soon. You are very talented. Thanks for your comments Many and Nicole!! The Burb Collection and all collections are from my original artwork. In this case, an image I took from an airplane over Las Vegas 🙂 xo c Looking forward to getting more time in February to work on things more. These are so ridiculous chic and fabulous! The best part is that I think these would also be timeless. The “burb” photo looks amazing as an office pattern…. LOVE! Bring it on Camille! I LOVE your designs and can’t wait to see more. These are fabulous! What an amazing location and beautiful couple! I frequent your blog. Love the locations for this post….so awesome!! I’m a fan. Seriously AMAZING photos!!! They look like models!!!!!! Blown away! Such an amazing location and what a sweet couple! I have no idea how you found this location, but it’s amazing. And the way you photograph the couple there is breath-taking! Kudos! Great location and the couple is just stunning. She will make a godess of a Bride. Words can’t describe it…….. the photo’s are amazing. It was truely a pleasure working with both of you. We love them!!!!!!!! Gorgeous! I love the images in the corn field. Awesome job. One of the best engagement sessions I’ve ever seen. Love the industrial look! Very Cool! Beautiful photo C&C, the reflection is mint!